I wanted to let the readers of my blog know that I wrote a guest blog post for Scott Kelby! 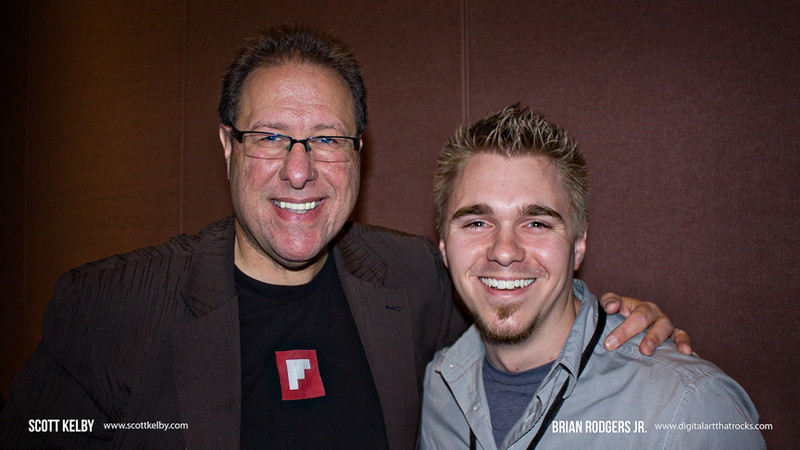 So make sure you head over to http://scottkelby.com/2014/its-guest-blog-wednesday-featuring-brian-rodgers-jr/ and check it out! Hey everyone! As photographers and artist's, we all need sources of inspiration. We use that inspiration as fuel to ignite our own creativity. What inspires you? Music has been a driving force in the creation of much of my work over the years, even at an early age. There's just something about the feeling you get when listening to music that moves you. When I'm shooting and retouching, I'm always listening to music. I truly believe that for me, it helps shape my images and the mood they create. It's that feeling that drives my creativity. For some reason I can always turn on Oleander's latest album Something Beautiful and get into my creative zone. Great album! And it's really cool to see an awesome band that went away for a while come back with such a powerful record. Check it out! I just happened to be watching last weeks episode of The Grid. The episode focused on The Path to Inspiration. I am absolutely honored to have been referenced in the discussion for my automotive self assignment (I'm referenced at about 34:20 & 1:03:15) I've been watching The Grid since it first aired and I'm a huge fan of the show. Kelby Media has been such a huge inspiration of mine for a long time. I just wanted to thank Pete Collins for sharing my work on the air and for posting to the NAPP (National Association of Photoshop Professionals) member site. I also wanted to thank RC and Mia as well. 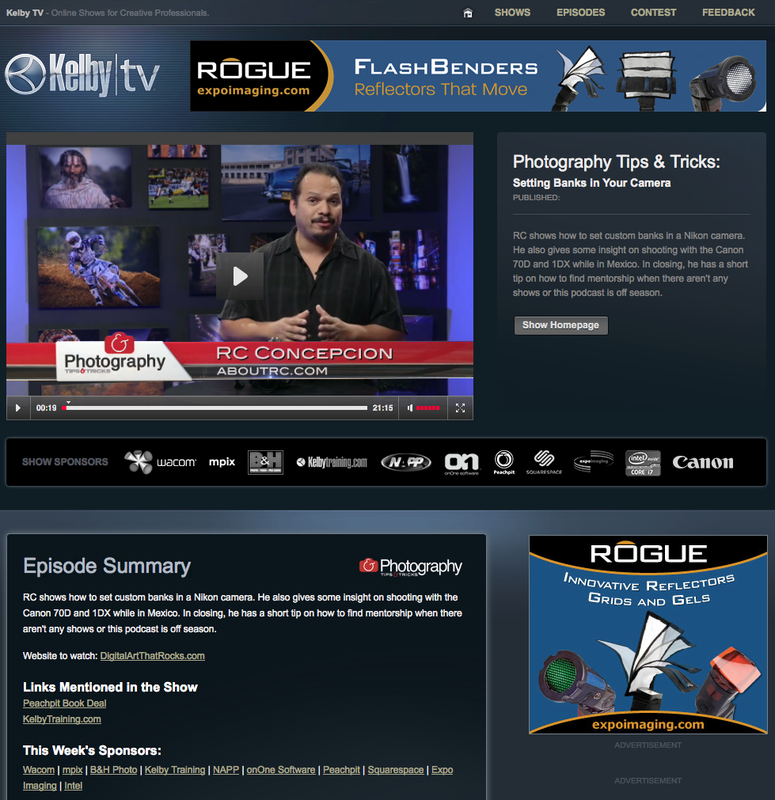 I was just told this week that I was featured on Photography Tips & Tricks by Kelby Media! My website www.digitalartthatrocks.com was featured as the "website to watch." Truly honored to say least. I'd like to give a quick shout out to my buddy Pete Collins and RC Concepcion for featuring my work on the show. You guys rock! My website can be seen on this episode at (18:58).